This seminar addresses common issues and research roadblocks that may hinder your academic productivity, and discusses mechanisms that foster success. List mechanisms to manage competing priorities and foster success in resource-constrained environments. 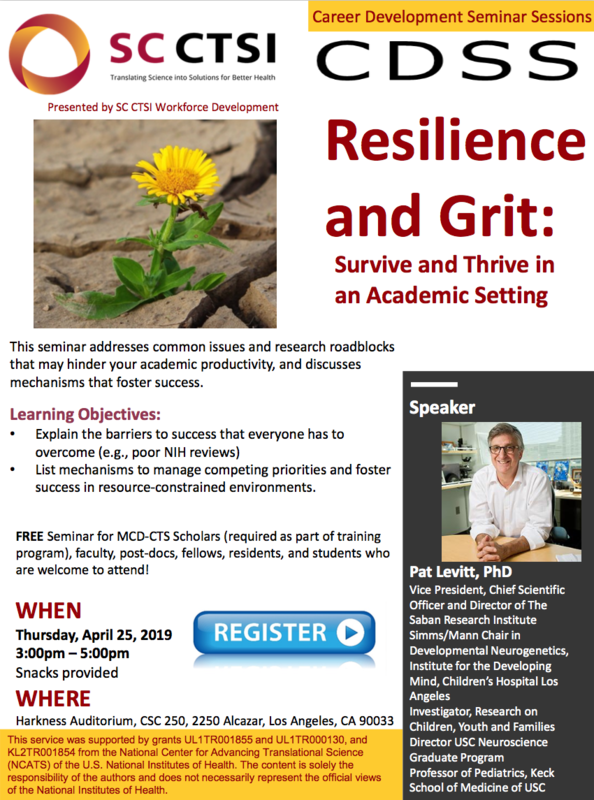 FREE Seminar for MCD-CTS Scholars (required as part of training program), faculty, post-docs, fellows, residents, and students who are welcome to attend!